It's been a long time coming (the album, not just this review), but Hollywood Cole has done it again. Except, this time, he's focused less on the Hollywood and more on the introspective aspects of what makes Cole...well, Cole. 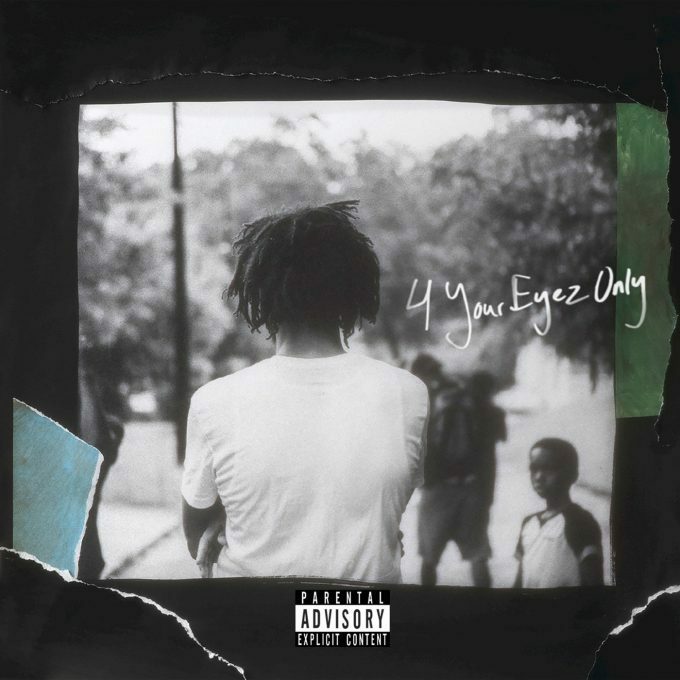 Jermaine takes a step back from the lyrical onslaught that is today's hip-hop arena and slows things down a bit so that you can truly digest his words and their meaning. That isn't to say that J. Cole dumbs things down because that will never happen, but there isn't as much stereotypical hip-hop instrumentation as there is attention paid to the message that he delivers in this album, which is a concept album of sorts. The album is average in length, timing in at 44 minutes, but there is a lot of power in that three quarters of an hour. That power comes directly from his heart, and his recent stances on the racial inequalities in America are very present throughout the album. It's amazing to see J. articulate his feelings on issues that range from the birth of a daughter (his home boy's, who was shot down before her birth) on "She's Mine, Pt. 2" to police profiling and racial inequalities on "Change." Personally, my favorite track is "Neighbors," which highlights the strange looks he's received from his new nearby residents (y'know, since he moved into 2014 Forest Hills Dr to get away from the spotlight and to gain privacy). It's a look into how judgmental society is. The hook is "I guess the neighbors think I'm sellin' dope...well mothafucka, I am." Of course, the "dope" in question isn't crack cocaine, but his music, which is dope...addictive...fire...catchy...selling. In addition to sounding like a Big K.R.I.T. track, the song draws light to the uneven sights placed on Black America, where we can't even buy a nice house in the 'burbs without drawing ire, because we're expected to be less: rappers, athletes, etc. Much of the album hooks you like a dope fiend, drawing you in with deep and soulful instrumentation and making you come back for more with his thought provoking lyrics. This isn't Sideline Story or Born Sinner Cole, but the young man continues to cement his role among the Leaders of the New School with his dexterity and prowess. He takes the simplest ideals and makes them into invigorating stories with appropriately matched beats, making it easier and easier to follow along and enjoy the ride. The ride sometimes slows down to uncomfortable levels, though, making it hard to stay focused or to remember that this is a rap album. Actually, when I first heard the album the opening track "For Whom The Bell Tolls" turned me off before I could get into it. The next two tracks got me ramped up and then we slowed down again on "Ville Mentality," so I needed a few good dozen spins before I could truly appreciate the work of art in its entirety. Granted, this is a solid effort, but only true J. Cole fans can appreciate this, which I think was Jermaine's goal, but that will ultimately hurt his future endeavors to gain fans, I believe. There are no club bangers, which isn't surprising, but there aren't any standout tracks to bump in your ride, either (I use the term "standout" loosely, because this is a great album to play all the way through while taking a long ride down the highway). If you're looking for a smooth rap album with introspective lyrics that speak to the urban youth, then this is for you. If you're looking for former chart toppers and heavy hitters like "G.O.M.D., Crooked Smile," or "Niggaz Know," you won't find them here. The effort is repeat worthy, but only if you're either already a J. Cole fan or if you're a hip-hop head. If you're a tourist, you'll be bored right out of the gate.